This smooth and creamy double pudding is the perfect combination of dark chocolate and peanut butter. Whether you have it for dessert or just as a snack, it’s an undeniable treat! In a large bowl, mix sugar and salt. Extract vanilla from bean and combine with Natrel Lactose Free. Mix ½ cup cold Natrel Lactose Free with cornstarch. 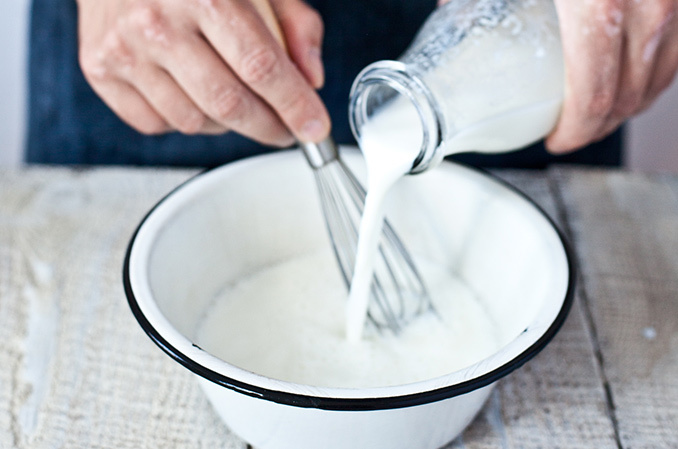 Add the rest of the Natrel Lactose Free to the sugar and salt mix, then add to it the Natrel Lactose Free and cornstarch mixture. Stir well. In a double boiler, heat mixture until it coats the back of a spoon. 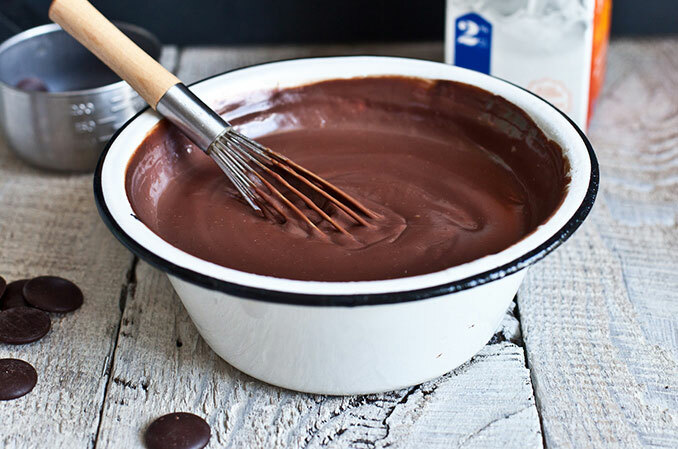 Remove from heat, then add chocolate. 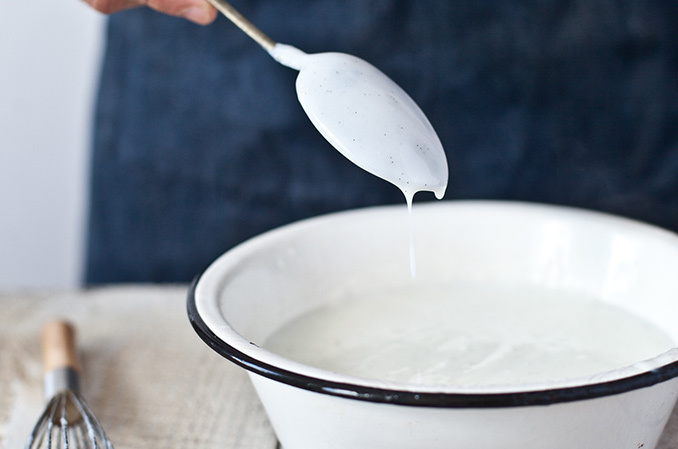 Stir until mixture is smooth and creamy. Cover with plastic wrap and allow to cool. In a double boiler, heat mixture until it coats the back of a spoon. Remove from heat, then add peanut butter. 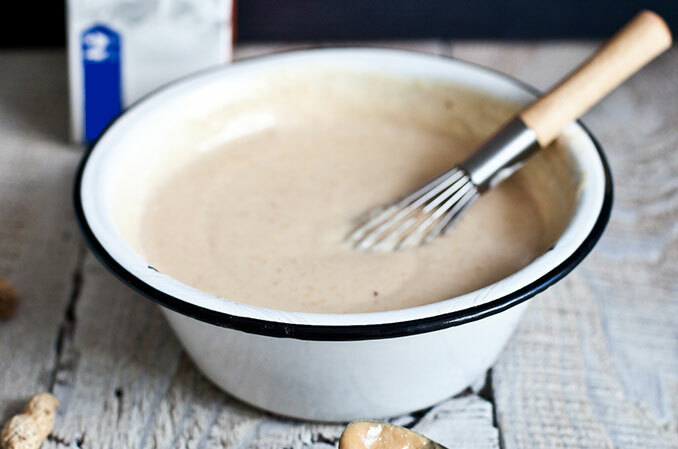 Stir until mixture is smooth and creamy. 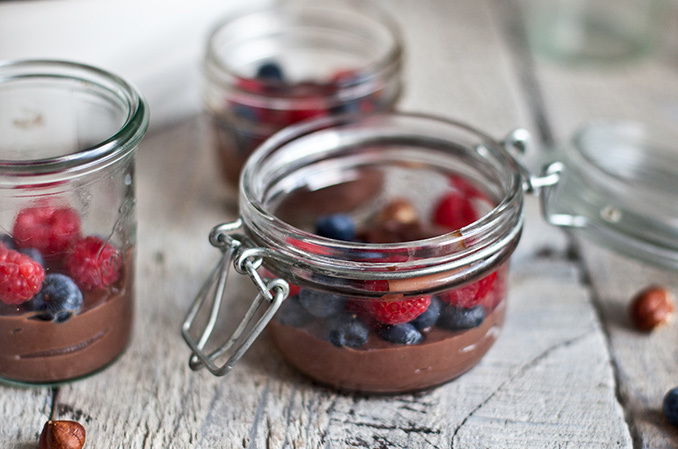 In little jars, drop in a spoonful of chocolate pudding. 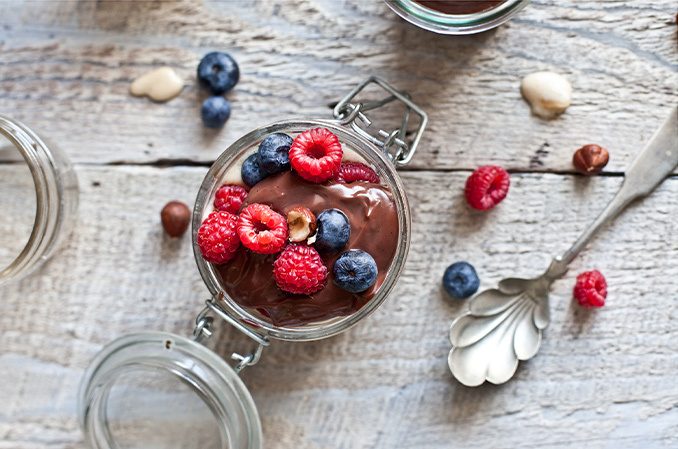 Cover with berries, then drop in a spoonful of peanut butter pudding. Repeat until pudding is all used up. A hazelnut can be set on top of each little jar if desired.